Believe it or not, it’s already time to begin thinking about getting your home ready for the holidays! Do you have enough dining chairs for the family you’ll have around your table on Thanksgiving day? Do you need a new sleeper sofa (a comfortable one, that is!) for the extra people you’ll have staying with you at Christmas? 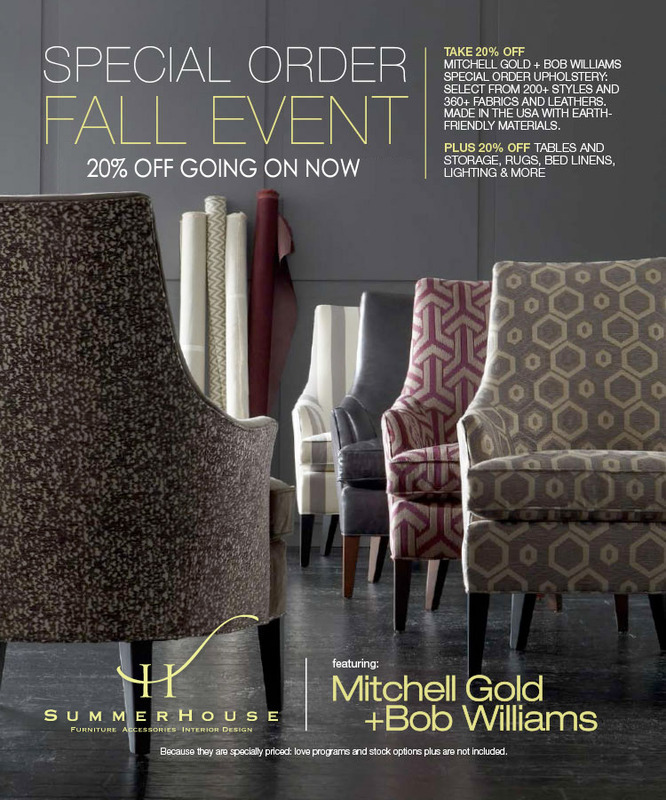 You’re in luck, because Mitchell Gold + Bob Williams, the inventors of stylish comfort, are having a FABULOUS special order sale right now! Come on up to the store, or give us a call (601-853-4445), and let one of our talented designers get something on order for you (at a discount!) The sale ends soon, so hurry in before it’s too late!